Late legend DJ Rashad up with DJ Spinn in the early 2000s to form Ghettoteknitianz, later to become Teklife in 2009. Driven by increasingly experimental and distorted style of footwork dancing (and not the other way round), producers began upping the BPMs to form an experimental style distinctive from ghetto house, known as footwork. Now, Teklife is a collective of more than 25 producers, DJs and dancers with members across Europe, Asia and the USA. Their trademark attachment to offbeat 808s and cracking sneers, along with pitched up vocals and blistering BPMs made them a natural choice for a collab on our Roland DJ-808. Check out Teklife OG DJ Spinn and bright spark DJ Earl perform below in their rework of Teklife classics, both old and new. Inject some Teklife into your sets with this free collection of 32 sounds and samples, hand picked by footwork mavens DJ Spinn and DJ Earl. Known for their percussion-heavy productions with cracking sneers, thumping 808s and whirlwind BPMs, it was only natural for us to turn to Teklife and get amongst some of their iconic sound bites. 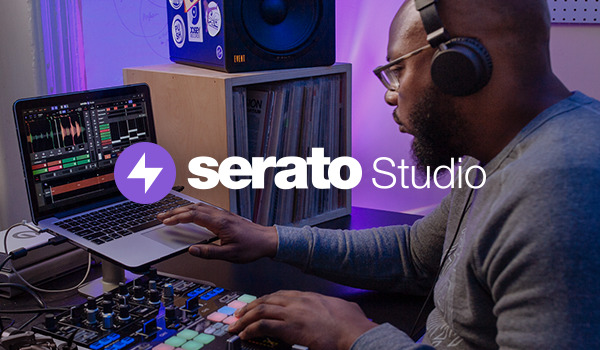 Delve deep into this free sample pack and make the most of the new 32 slots now available in the Serato Sampler.